Each source file should contain only one public class and the name of that public class should be similar to the name of the source file. If there is no public class in the source file then main method can lie in any class and we can give any name to the source file. If you are not following 1st constraint then you will receive a compilation error saying “The public type A must be defined in its own file”. While if you are not following the second constraint you will receive an error “Error: Could not find or load main class User” after execution of the program and if you will try this in Eclipse then you will not get the option to execute the program. Here we are talking about only top level classes, we can declare more than one public inner class. Now we know that we can’t declare more than one public file in the single source file, Now we will look at why we can’t do this or why it is not allowed in Java. This restriction implies that there must be at most one such type per compilation unit. This restriction makes it easy for a Java compiler to find a named class within a package. In practice, many programmers choose to put each class or interface type in its own compilation unit, whether or not it is public or is referred to by code in other compilation units. For example, the source code for a public type wet.sprocket.Toad would be found in a file Toad.java in the directory wet/sprocket , and the corresponding object code would be found in the file Toad.class in the same directory. Toad class is referred in other classes in same package. Toad class is declared public. This restriction implies that there must be at most one such Toad class per compilation unit. This restriction makes it easy for a compiler for the Java programming language or an implementation of the Java virtual machine to find a named class within a package. To get more clear picture let's imagine there are two public classes public class A and public class B in a same source file and A class have reference to the not yet compiled class B. And we are compiling (compiling-linking-loading) class A now while linking to class B compiler will be forced to examine each *.java files within the current package because class B don’t have it’s specific B.java file. So In above case, it is a little bit time consuming for the compiler to find which class lies under which source file and in which class the main method lies. So the reason behind keeping one public class per source file is to actually make compilation process faster because it enables a more efficient lookup of the source and compiled files during linking (import statements). The idea is if you know the name of a class, you know where it should be found for each classpath entry and no indexing will be required. And also as soon as we execute our application JVM by default looks for the public class (since no restrictions and can be accessible from anywhere) and also looks for public static void main(String args) in that public class. Public class acts as the initial class from where the JVM instance for the Java application (program) is begun. So when we provide more than one public class in a program the compiler itself stops you by throwing an error. This is because later we can’t confuse the JVM as to which class to be its initial class because only one public class with the public static void main(String args) is the initial class for JVM. Although there is no particular specification or reference to point why it is allowed to have more than one non-public class per source file. Presumably, the point is that developers are more likely to want to find the source code for a public class than a non-public one because developers don’t work on the same package provided by others so they don’t need to know the non-public classes. So compiler should not worry too much about linking non-public class because these are private to package. But we should declare every class in its own file because it we will make the source short, simple, well organised and easy to understand. In Java, we generally create objects using the new keyword or we use some DI framework e.g. Spring to create an object which internally use Java Reflection API to do so. In this Article, we are going to study the reflective ways to create objects. However there are total 5 ways create objects in Java, if you are not aware of them please go through this article 5 Different ways to create objects in Java with Example. Both Class.newInstance() and java.lang.reflect.Constructor.newInstance() are known as reflective methods because these two uses reflection API to create the object. Both are not static and we can call earlier one on a class level object while latter one needs constructor level object which we can get by using the class level object. The Class class is the most popular class in Java after the Object class. However, this class lies in the java.lang package but plays a major role in Reflection API (java.lang.reflect. * package). Class.newInstance() internally itself use the Constructor.newInstance() to create the object as we can see in the source code of Class class, notice line no 430 and 442 in below image. It internally use sun.reflect.ConstructorAccessor class to get the object, which is Oracle's private API. Constructor.newInstance() can invoke any constructor, regardless of the number of parameters. Constructor.newInstance() can also invoke private constructors under certain circumstances. Constructor.newInstance() always wraps the thrown exception with an InvocationTargetException. Due to above reasons Constructor.newInstance() is preferred over Class.newInstance(), that’s why used by various frameworks and APIs like Spring, Guava, Zookeeper, Jackson, Servlet etc. While being a Java developer we usually create lots of objects daily, but we always use the new or dependency management systems e.g. Spring to create these objects. However, there are more ways to create objects which we are going to study in this article. There are total 5 core ways to create objects in Java which are explained below with their example followed by bytecode of the line which is creating the object. However, lots of Apis are out there are which creates objects for us but these Apis will also are using one of these 5 core ways indirectly e.g. Spring BeanFactory. If you will execute program given in end, you will see method 1, 2, 3 uses the constructor to create the object while 4, 5 doesn’t call the constructor to create the object. It is the most common and regular way to create an object and actually very simple one also. By using this method we can call whichever constructor we want to call (no-arg constructor as well as parametrised). We can also use the newInstance() method of the Class class to create objects, This newInstance() method calls the no-arg constructor to create the object. We can create objects by newInstance() in following way. Similar to the newInstance() method of Class class, There is one newInstance() method in the java.lang.reflect.Constructor class which we can use to create objects. We can also call a parameterized constructor, and private constructor by using this newInstance() method. Both newInstance() methods are known as reflective ways to create objects. In fact newInstance() method of Class class internally uses newInstance() method of Constructor class. That's why the later one is preferred and also used by different frameworks like Spring, Hibernate, Struts etc. To know differences between both newInstance() methods read Creating objects through Reflection in Java with Example. Whenever we call clone() on any object JVM actually creates a new object for us and copy all content of the previous object into it. Creating an object using clone method does not invoke any constructor. To use clone() method on an object we need to implements Cloneable and define clone() method in it. Java cloning is the most debatable topic in Java community and it surely does have its drawbacks but it is still the most popular and easy way of creating a copy of any object until that object is full filling mandatory conditions of Java cloning. I have covered cloning in details in a 3 article long Java Cloning Series which includes articles like Java Cloning And Types Of Cloning (Shallow And Deep) In Details With Example, Java Cloning - Copy Constructor Versus Cloning, Java Cloning - Even Copy Constructors Are Not Sufficient, go ahead and read them if you want to know more about cloning. Whenever we serialize and then deserialize an object JVM creates a separate object for us. In deserialization, JVM doesn’t use any constructor to create the object. To deserialize an object we need to implement the Serializable interface in our class. As we can see in above bytecodes all 4 methods call get converted to invokevirtual (object creation is directly handled by these methods) except the first one which got converted to two calls one is new and other is invokespecial (call to the constructor). In below java program we are going to create Employee objects in all 5 ways, You can also found the complete source code at Github. 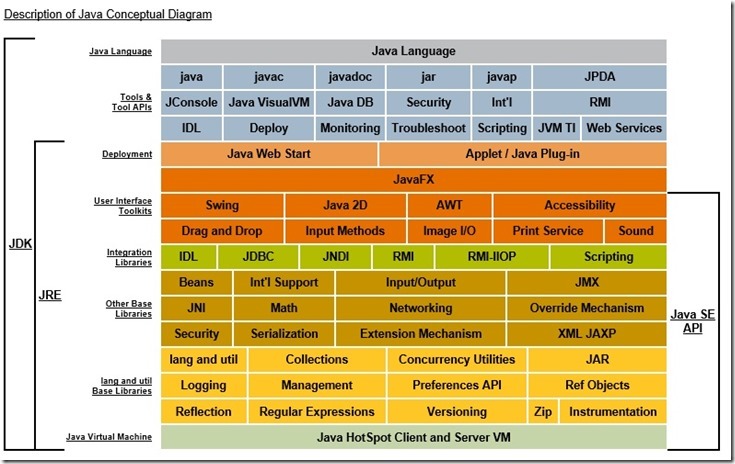 Plain Old Java Object or POJO is just an ordinary Java object, The term was originally coined by Martin Fowler, Rebecca Parsons, and Josh Mackenzie in September 2000. The term was coined while Rebecca Parsons, Josh MacKenzie and I were preparing for a talk at a conference in September 2000. In the talk we were pointing out the many benefits of encoding business logic into regular java objects rather than using Entity Beans. We wondered why people were so against using regular objects in their systems and concluded that it was because simple objects lacked a fancy name. So we gave them one, and it’s caught on very nicely. Generally, a POJO is not bound to any restriction and any Java object can be called a POJO but there are some directions. A well-defined POJO should follow below directions. Generally POJO should override equals(), hashCode() and toString() methods of Object (but it's not mandatory). Overriding these methods will help us while using our POJO with different Java collection classes or writing it directly to console or inspecting it in debugger. Overriding compare() method of Comparable interface used for sorting (Preferable but not mandatory). However, developers and frameworks describe a POJO still requires the use prespecified annotations to implement features like persistence, declarative transaction management etc. So the idea is that if the object was a POJO before any annotations were added would return to POJO status if the annotations are removed then it can still be considered a POJO. A JavaBean is a special kind of POJO that is Serializable, has a no-argument constructor, and allows access to properties using getter and setter methods that follow a simple naming convention. As being a Java programmer we all know what is a reference, But let’s go through this again which it will help us to understand our current topic which is “Types of References in Java”. Primitive Types: There are 8 primitive types (byte, short, int, long, float, double, char and boolean) in Java which holds their values directly in form of bits. Reference Types: All types other than primitive lies under the category of reference types e.g. Classes, Interfaces, Enums, Arrays etc. Here “new Employee()” is actually the object which gets space in heap, and “emp” is called reference variable which is holding the object, holding means “emp” variable stores the address of the object in form of bits. As long as “emp” is holding this object it is not eligible for garbage collection. Because it is still in use and is reachable from “emp” reference. Now if we assign a new object to “emp” it will hold the address of the new object and because now nobody is holding the reference of that old employee object it will become eligible for garbage collection. Based on the behavior of references with Garbage Collector we can divide references into 4 sections given below in order from strongest to weakest. The variable “emp” holds a strong reference to an Employee object and objects that are reachable through any chain of strong references are not eligible for garbage collection. Usually, this is what you want but not always. Now suppose we are fetching lots of employees from database in a collection or map, and we need to do a lot of processing on them regularly, So in order keep performance we will keep them in the cache. As far as this is good but now we need different data and we don’t need those Employee objects and these are not referenced from anywhere except the cache. Which is causing a memory leak because these objects are not in use but still not eligible for the garbage collection and we cannot remove those objects from cache because we don’t have reference to them? So here either we need to empty the entire cache manually which is tedious or we could use other kind references e.g. Weak References. A weak reference does not pin an object into memory and will be GC’d in next GC cycle if not referenced from other references. We can use WeakReference class which is provided by Java to create above kind of caches, which will not store objects which are not referenced from somewhere else. To access data you need to call cache.get(). This call to get may return null if the weak reference was garbage collected: you must check the returned value to avoid NPEs. Java provides collections that use weak references e.g., the WeakHashMap class stores keys (not values) as weak references. If the key is GC’d then the value will automatically be removed from the map too. Since weak references are objects too we need a way to clean them up (they’re no longer useful when the object they were referencing has been GC’d). If you pass a ReferenceQueue into the constructor for a weak reference then the garbage collector will append that weak reference to the ReferenceQueue before they’re finalized or GC’d. You can periodically process this queue and deal with dead references. A SoftReference is like a WeakReference but it is less likely to be garbage collected. Soft references are cleared at the discretion of the garbage collector in response to memory demand. The virtual machine guarantees that all soft references to softly reachable objects will have been cleared before it would ever throw an OutOfMemoryError. Phantom references are the weakest of all reference types, calling get on them will always return null. An object is phantomly referenced after it has been finalized, but before its allocated memory has been reclaimed, As opposed to weak references which are enqueued before they’re finalized or GC’d Phantom references are rarely used. So how are they useful? When you construct a phantom reference you must always pass in a ReferenceQueue. This indicates that you can use a phantom reference to see when your object is GC’d. Hey, so if weak references are enqueued when they’re considered finalize but not yet GC’d we could create a new strong reference to the object in the finalizer block and prevent the object being GC’d. Yep, you can but you probably shouldn’t do this. To check for this case the GC cycle will happen at least twice for each object unless that object is reachable only by a phantom reference. This is why you can run out of heap even when your memory contains plenty of garbage. Phantom references can prevent this.